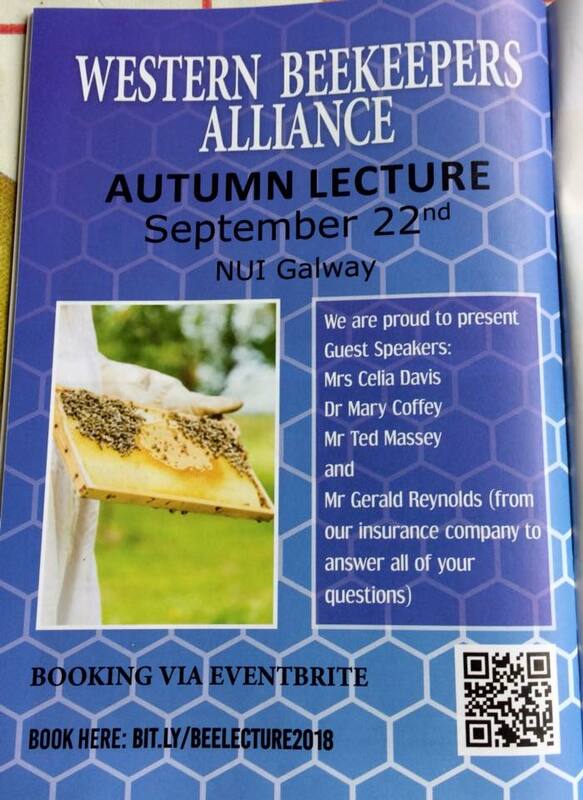 Please support this Autumn Lecture organised by the Western Beekeepers on Saturday 22nd September held in the university college Galway H91 TK33, a good line up of speakers is arranged for the relevant topics. It is a full day event. We Beekeepers need to be aware and educate ourselves of all the legal requirements needed while beekeeping and where best to get the correct information from than from the “horses mouth” so to speak! We all hear second hand information been dished around that may not be exactly correct! So we ask especially all members of our club Westport Beekeepers to come along for your own benefit and also support the organisers.